Nearly a year to the day after the Obama Administration announced it would restore diplomatic relations with Cuba after 52 years, the two countries are on the verge of an agreement to resume commercial flights, the Associated Press reported. The talks are ongoing, but this is the first concrete indication that commercial flights appear to be imminent. At the moment, American travelers to Cuba and Cubans to the U.S. can do so only on special charters. In fact, the first charter flight from Los Angeles to Havana took off on Saturday on American Airlines. Howard Kass, vice president for regulatory affairs at American, told the Miami Herald last month that the carrier – which already flies 22 charter flights a week to Cuba – is ready to resume commercial service. American, with a major hub in Miami, seems best poised among the major commercial airlines to quickly begin flights to Cuba. However, virtually every big U.S. carrier, including United, Southwest and JetBlue, has expressed interest in flying into Havana. U.S. and Cuban officials could make a formal announcement before year’s end. DeLaurentis said authorized American travel to the island on charter flights is up 50 percent this year over 2014, buoyed by significant expansion in cultural and educational programs and, of course, the administration’s decision to restore relations. Last week, the U.S. and Cuba jointly announced a tentative deal to resume direct mail service between the two countries, which hasn’t been allowed since 1963. Each country will launch a pilot program to test direct service but gave no indication how quickly that can happen. Verizon has become the first U.S. wireless company to let its customers make calls, send texts and use data while in Cuba. Though Verizon doesn't own or operate any cell towers in Cuba, it has set up roaming agreements with local Cuban telecom companies. That means Verizon customers can use their cell phones while visiting the island. The service isn't cheap: Voice calls will cost a pricey $2.99 a minute, data will set you back $2.05 per megabyte and texts will be charged at hefty global rates. Verizon also said customers traveling to Cuba first have to subscribe to the Pay-As-You-Go International Travel Option, and they must have a phone designated as a "world device" that is capable of receiving signals in Cuba. CAYMAN BRAC, Cayman Islands -- It was a historic day for Cayman Brac on Saturday November 28, 2015 as Cayman Airways (CAL) launched the island’s first international flight to and from Holguin, Cuba, and also expanded the airline’s existing service between Miami and Cayman Brac. Reiterating some of the other reasons for the new service, Cayman Airways president and CEO, Fabian Whorms, noted that this new service to Eastern Cuba was also designed to complement the airline’s existing flights between Havana and Grand Cayman, which is often capacity constrained. He said it was also anticipated that some of CAL’s existing Havana passengers, many of whom are from Cuba’s eastern towns, will be able to utilize this direct service and avoid lengthy travel between the capital city and their hometowns. Additionally, the new route provides connectivity to CAL’s interline partners like Air Canada and Condor as well as others in Holguin, making this new route poised to attract more European and Canadian visitors for the country as either a convenient point of connection, or as part of a dual-destination vacation package. Also celebrated was CAL’s new nonstop weekly outbound service from Cayman Brac to Miami, thanks to the expansion and renovation earlier this year of the Brac’s Charles Kirkconnell International Airport (CKIA) bringing the airport into compliance with international safety standards for nonstop flights into the United States. Both new international flights out of Cayman Brac will operate once a week, on Saturdays. The Celestyal Cruise ship has outlets for both 110 and 220 volts. It is useful to bring an adapter that will work with European round prong outlets as well as a US extension cord with a triple outlet in order to have enough connections for computers, pads, phones, etc. You can exchange dollars for CUCs (the currency needed for most purchases) at the airport, in hotels, at CADECAs and in banks as well as at kiosks where cruise passengers disembark. Because the US blocks Cuba's normal international use of the dollar, there is a 10% surcharge on the dollar exchange rate, plus the 3% charge affecting all currencies. Some people bring Canadian dollars or Euros but for a mostly prepaid trip, it is not worth the trouble. $100 per day while on land should be more than sufficient for non-group meals, incidental costs, taxis, etc., unless you plan to buy serious art or original handicrafts or eat at high end paladars with good imported wine. Purchases aboard Cuba Cruise for special excursions, in the gift and photo shop and for internet time and phone calls will be charged to your US credit card. 3) Tips to the guide and driver for excursions are at your discretion. A common practice is to give 5 CUC to the guide and 3 CUC to the driver or 10 CUC to the guide with a request to share it with the driver. When you are eating on your own off ship, 10% is the norm. Verizon, Sprint and T-Mobile have announced roaming service in Cuba. It is expensive, requires a quad band GSM frequency phone and only works when on land or on board while close to coastal cities. The ship has international phone service but VOIP for people using internet can be problematic. Most participants on short trips do not need a phone (and may welcome being disconnected). To function, cell phones must be unlocked quad band GSM, i.e. the kind used on ATT or T-Mobile networks, and require a Cubacel SIM card. Unlocked phones can be bought on-line from Amazon or other big retailers or be purchased in electronics stores at the Miami airport before passing through security ($60+). The only fast place to get a SIM card is at Cubacel offices at airports. Even there it can take 20 minutes, assuming there is not a line. The cards cost $3 a day plus prepaid time That gives you a local number with domestic calls that cost about 50 cents a minute as well as texting. Charge up the phone with estimated usage and get a 5 or 10 CUC scratch card for back up. Calls to the US are about $3 a minute but you can receive them without an incoming charge. If you have a non-US phone, check whether the company has a roaming agreement with Cuba. For emergencies, provide friends, family and work with the ship number and your cabin number. 5) Most personal electronics are fine to bring: digital cameras and video, cell phone, I-Pad, lap top, shortwave receiver, CD and DVD players. Cell phones and pads can have GPS capability but you need to download the maps.me app and the Cuba map. Don't bring a car GPS. The ship and most hotels have CNN but no international newspapers. Satellite phones or transceivers are illegal to import. 5) Internet is available on your own laptop, pad or phone on board and in the lobby of most hotels, but it is dial up speed and most useful for e-mail. Some international hotels have wireless, which is improving but often still very slow. 7) Clothing is informal and tropical. In most situations, men wear buttoned shirts and slacks; women can use dresses, skirts or slacks. T shirts are OK for sightseeing and personal time. Shorts are usually worn by Cubans only at home and in very casual situations and can mark you as a tourist. I wear sandals with covered toes but most Cuban men wear shoes. Bring snorkel equipment for Maria la Gorda, but it will also be provided on the paid snorkel tour. Guayabera and sports shirts are available for purchase but pricey. T shirts are sold everywhere. 9) Humanitarian Assistance I am often asked about providing material help to Cubans, a giving back opportunity offered by some tour organizations. We and our Cuban hosts are not comfortable with handing out gifts on the street, be it candy, pens or baseballs. We have arranged for donations to be passed on at the Saturday morning program held at the Cuban Institute for Friendship with Peoples (ICAP). Another option for material assistance is on your last day in Cuba in Cienfuegos where the graphics workshop has a special program during the summer with Downs Syndrome children. We are not asking you to do this, or in any way meaning to suggest that is a necessary part of your Cuba experience. Our goal is to be sure that those moved to help have an appropriate channel and are not fostering the culture of street begging that so far is much less common in Cuba than in other tourist destinations. Ultimate recipients include orphanages, homes for the elderly, autism and downs syndrome centers, hospitals for children with cancer and schools. Items that have been suggested include school needs (crayons, pens, pencils, notebooks, educational software in Spanish, flash drives, coloring books, didactic games), baby supplies (pampers, toys, clothes), senior support (adult diapers, canes, walkers---good condition used is OK), frames for glasses as well as new sheets and towels. The head of the African Cultural Center who organizes our program at ICAP has requested boxes of pens and name tags that can be used for an international conference she organizes every April. If you have a special interest in a particular kind of institution, we may be able to have a representative present. When you board the ship, consult with Jorge Arocha, the person with special responsibility for the P2P program, about bringing gifts ashore. Cuban customs can be a problem if they think goods are being brought for resale. 10) Bring 25 to 50 business cards for fellow travelers and for Cubans with whom you may want to stay in contact. 11) Insurance Cuba requires coverage by its national health insurance even if you have another policy because it cannot obtain reimbursement from US firms. A European company that has an agreement with Cuba's Asistur will provide coverage for cruise passengers for the entire trip. To purchase, contact your travel agent / tour operator or call a member of the Cuba Cruise Booking Team. Travel partners (agents and tour operators) should arrange insurance for their clients through the agent portal. 12) Visa Your Cuban tourist card will be provided when you board in Montego Bay or when you fly to Havana. Ready for more music? Ask the bus or taxi to drop you at the Jazz Cafe facing the Melia Cohiba Hotel for its 11 p.m. show, or at the jazz and night clubs on La Rampa. Cuba Cruise also offers popular tourist options like the Tropicana Cabaret and the Buena Vista Social Club, or you can pursue the evening independently. The Jazz Cafe is virtually free. The $10 cover provides two or three drinks and/or food. Specialized P2P Programs can be arranged for groups at an additional cost by Cuba Cruise that include a guide/interpreter and transportation. At least one month advance notice is required. Moon Cuba is the best guidebook to prepare for your visit and carry ashore. There have been numerous instances of Paypal and bank transfers, checks etc. frozen because "Cuba" was mentioned in a memo line. The following language should end that problem. IATA plans to start operating a Billing and Settlement Plan (BSP) banking system in Cuba in 2016, helping to facilitate ticket transactions between airlines and travel agents. The BSP system would be an important step in the gradual opening up of Cuba’s travel and tourism business as relations between Cuba and the US thaw. Ultimately, a bilateral air agreement is expected to be formed, enabling direct scheduled air links between the two countries. Although no timing has been set for a bilateral, IATA DG Tony Tyler announced last week during a visit to Havana the plan to operate a BSP system in Cuba next year. He also pledged the association’s support and expertise as the country adapts its aviation infrastructure to cope with the anticipated large increase in air traffic and passengers. Tyler’s visit also marked the 70th anniversary of IATA, which was created in Havana at a meeting in the Hotel Nacional, where he hosted a celebratory dinner with the CEO of Cubana, the US and Canadian ambassadors to Cuba and the head of Cuba’s civil aviation authority. IATA’s BSP system is a critical enabler for airlines, facilitating financial transactions through travel agents via a standardized agreement and settlement mechanism. Cuba we has four accredited agents with over 100 branches across the country, but no BSP system. “Direct scheduled air links are a much anticipated outcome of the thawing of relations between the US and Cuba. That will certainly create opportunities for growth. Establishing an IATA BSP in Cuba will be an important facilitator for growth in outbound ticket sales,” Tyler said at a press conference in the Hotel Nacional. Tyler said that IATA estimates there were about 300,000 departures from Cuba in 2014—outbound travel—a relatively small number for a country with over 11 million people. “We did a projection to 2034 and conservatively see the potential for one in four Cubans to be traveling by air at that time. Even if the population were steady—an obviously unrealistic expectation—that would see a market of 10 times the size of today in less than two decades,” Tyler said. Tyler also pledged that IATA will assist Cuba as it tackles the major airport terminal and airfield upgrades that will be needed to cope with the increase in air and passenger traffic. “IATA is not in the business of building or upgrading airports. But we do help airports and governments plan infrastructure developments. By bringing deep knowledge of airline and passenger needs we can ensure that the infrastructure investments deliver maximum benefit,” Tyler noted. See photo gallery of Tony Tyler’s visit to Havana. The people of Cuba have been vindicated by the recent change in US policy towards the island, Sinn Féin president Gerry Adams has said on a visit to Havana. Mr Adams met Cuban vice-president Salvador Antonio Valdés Mesa, other ministers and National Assembly leaders during his four-day visit. He also spoke at a memorial to the 1981 republican hunger strikes, which he described as “an epic story of unselfishness, courage and generosity versus self-interest, intransigence and imperialism”. He said the same spirit was visible in Cuba, and claimed its people had been “vindicated” by the recent rapprochement with the US, which recently re-opened its embassy in Havana. “While that [change] will present many challenges, such challenges are part of revolutionary struggle,” he said. The Sinn Féin leader praised Cuban president Raul Castro and his US counterpartBarack Obama for their work in improving relations between the two countries. He also commended Pope Francis for his work in encouraging the two sides to talk. “These developments are creating a new positive dynamic in the relationships of these neighbours and a beacon of hope and reconciliation in difficult times,” he said. Mr Adams called for an end to the US embargo of Cuba, which has been in place for five decades and came at “enormous” economic, cultural and human cost to the people of Cuba. “The interests of Latin America and especially of Cuba and the USA are best served by an end to the embargo and the creation of a new relationship based on mutual respect and equality,” he said. IRELAND's Hunger Strikers were remembered in a ceremony in Havana, Cuba, on Friday at which Sinn Féin President Gerry Adams praised the leadership shown by the Cuban and US governments in moving towards an end to decades of hostility between the two countries. Adams, who had officially unveiled the memorial back in 2001 to mark the 20th anniversary of 1981 Hunger Strike, said the determination shown by the Irish hunger strikers had became a metaphor for Ireland's long struggle for freedom and independence. “It was an epic story of unselfishness, courage and generosity versus self-interest, intransigence and imperialism," he said. “That same spirit is visible here in Cuba and everywhere stronger powers refuse to recognise that people have the right to be who we are." Gerry Adams commended the leadership of Cuban President Raúl Castro in helping to forge a peace deal in Colombia. "While that will present many challenges, such challenges are part of revolutionary struggle," he said. The sun was shining gloriously in a clear blue sky last Friday in Havana. It was a hot and humid Cuban morning. Our small delegation – myself, Lucilita Bhreatnach, Eric Scanlon and Richard McAuley – walked the short distance from our cars to the hunger strike memorial in Parque Victor Hugo - a beautiful park in central Havana - named after the author of Les Miserables. I was first there just before Christmas in 2001 to unveil the memorial which was erected to mark the 20th anniversary of the 1981 hunger strike. The hunger strike clearly had a significant impact on the people of Cuba. On September 15 1981, during the hunger strike, Fidel Castro addressing the 68th conference of the Interparliamentary Union in Havana said: “In my opinion Irish patriots are writing on the most heroic chapters in human history. They have earned the respect and admiration of the world and likewise they deserve its support. Ten of them have died in the most moving gesture of sacrifice, selflessness and courage one could ever imagine.” Part of his remarks are inscribed on the memorial. The Sinn Féin delegation was joined in our celebration by a small crowd of Cuban activists, some of whom were involved in solidarity work at that time, as well as representatives of the Cuban Communist Party. It was a poignant moment. Friday was October 2nd. It was almost 34 years to the day - October 3rd 1981 - when the hunger strike ended. The Stailc Ocrais (hunger strike) has since become a metaphor for Ireland’s long struggle for freedom and independence. I reminded my Cuban audience that “it was an epic story of unselfishness, courage and generosity versus self-interest, intransigence and imperialism. Though it ended in the deaths of 10 prisoners and countless other people outside the prison it was a triumph for human dignity and the human spirit. I concluded my remarks by stating my belief that the hunger strikers would be pleased that this memorial stands in Havana. They would also be pleased by the changes that are evident in Cuba’s economy and in the quality of life of its citizens. Clearly the embargo still makes life very difficult but the Cuban people have demonstrated a remarkable resourcefulness in circumventing this obstacle. For example, major progress has been made in developing Cuba’s economy; in introducing new tax laws and a labour code, and in the creation of huge deepwater sea port, and special economic development zone at the port of Mariel, just west of Havana. Tourism too has expanded significantly since I was last here. And the relaxation in some of the restrictions on US visitors by President Obama has seen an increase in travellers arriving from there. Many are coming to visit families but others have come to enjoy Cuba’s rich history; its cultural diversity; its great weather and beaches; and the warmth of its people. Some have also come to look at or travel in the fleet of 1950s American cars that are a regular sight on Havana’s roads. They come in all shapes and sizes and colours. Some, even after 60 years, are still immaculate. They look as fresh as the day they came off the assembly line in Detroit. Havana is famous for its streetscape of old buildings and castles. Some dating back to the early 16th century. Its’ museums have reminders of gold and silver plundered by Spanish adventurers and monarchs from central and south America, as well as Cuba. The Museum of the Revolution is in Old Havana and in what was the Presidential Palace of all Cuban presidents. It contains many artefacts and photographs from the revolutionary period, including in a glass building beside the museum the Granma – the 60 foot yacht that was used to transport Fidel and 80 fighters from Mexico to Cuba in 1956 at the start of the revolution. In one glass case is an instrument that was used to tear off the fingernails of prisoners while in another there is a photograph of a crowd of smiling revolutionary prisoners – not unlike smuggled photographs from within Long Kesh and Armagh Women’s prison in our own time. A guitar, with the names of political prisoners written across it, is another reminder of the similarities of prison struggle between Cuba and Ireland. The museum is currently under renovation and the guide who brought us around proudly showed us the bullet holes in the walls that were revealed during the restoration process. Last week’s visit was an opportunity to build on the close ties of solidarity that Irish republicans and many Irish people share with the people of Cuba. It also came on the back of a very successful visit to Cuba by Pope Francis and the major breakthrough in Cuban – US relations. In the course of a very busy schedule I met senior political leaders in the Cuban government, including Cuban Vice President Salvador Antonio Valdés Mesa, as well as a the Minister for Health; the Minister for Foreign Trade; the Deputy Minister for Foreign Affairs and senior figures from the People’s National Assembly and the Central Committee. Our conversations ranged across international affairs and the role of Cuba in the world today, including its medical aid to other countries. The recent thaw in relations between Cuba and the United States dominated much of our discussions. While US President Obama has taken steps to ease some of the more punitive aspects of the embargo most of the really important elements of it are written into US law and need the Congress to introduce the necessary enabling legislation to finally bring an end to the embargo, as well as to close the U.S. base at Guantanamo Bay and return it to the Cuban people. Sinn Féin has consistently opposed the embargo imposed by the USA. Its economic, cultural and human cost on the people of Cuba has been enormous. The interests of Latin America and especially of Cuba and the USA are best served by an end to the embargo and the creation of a new relationship based on mutual respect and equality. Key to the progress we have witnessed thus far has been the leadership of President Raul Castro and President Obama. On October 27th Cuba will introduce its annual motion to the United Nations calling for an end to the embargo. How the US responds will be an important indicator. Finally, I also took the opportunity to publicly and privately commend Cuba's role in facilitating the Colombian peace process. The recent press conference in Havana, hosted by President Raul Castro, at which Colombian President Juan Manuel Santos and the leader of the Farc rebel group Timochenko shook hands, was a remarkable breakthrough after many years of effort. They have now set six months in which to achieve a final agreement. Finally, finally I left Cuba impressed by the candour and determination of the Cuban people and their political leadership. All of those I spoke to made clear their willingness to construct a new relationship with the USA but there was an equal determination not to compromise on the principles of the revolution. (CNS Business): The National Flag Carrier will be launching a new weekly flight to Cuba from Cayman Brac at the end of next month, the airline has announced. The new Cayman Airways Limited (CAL) service between the Sister Island and Holguin is the second Cayman to Cuba route and the first outbound international route launched since the Brac airport was expanded. In a statement released Friday, CAL said the first flight is slated to depart Cayman Brac for Holguin on Saturday 28 November and will operate once a week on Saturdays. 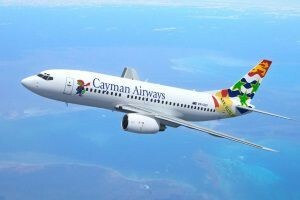 Cayman Airways Express will provide connecting flights to and from Grand Cayman. The new flight is designed to meet the growing demand for flights between Cayman and Cuba, and to provide dual destination travel opportunities for Canadian and European visitors to Cayman, CAL said. Commenting from a destination standpoint, Tourism Minister Moses Kirkconnell said another important benefit of CAL flying to Holguin, which is a popular resort area for Europeans and Canadians, is that it is currently served by several of CAL’s interline partners like Condor and Air Canada, as well as other airline partners. “CAL’s new flights to Holguin will therefore provide connectivity as well as dual destination opportunities for Canadian and European travelers, which is excellent for Cayman,” Kirkconnell said. In addition to creating an opportunity to increase the number of European visitors to Cayman, the minister said CAL’s new service to Holguin, Cuba will also be a great benefit for Cayman Brac, which will see its first outbound international flight schedule launched since the Charles Kirkconnell International Airport (CKIA) was expanded. “The introduction of this service provides several benefits and allows us to make better use of our existing assets, in this case the international airport in Cayman Brac, which was recently enhanced to handle more capacity,” he explained. When the new weekly Saturday service begins 28 November, flight KX842 departs Cayman Brac (CYB) at 1:30pm, arriving in Holguin (HOG) at 2:30pm. From HOG to CYB flight KX843 departs at 3:30pm and arrives at 4:30pm. The race for Cuba's beach-front is on. Executives from major U.S. hotel chains have stepped up their interest in the Communist island in recent months, holding informal talks with Cuban officials as Washington loosens restrictions on U.S. firms operating there. Executives from Marriott International, Hilton Worldwide and Carlson Hospitality Group, which runs the Radisson chain, are among those who have held talks with Cuban officials in recent months, they told Reuters. "We're all very interested." said Ted Middleton, Hilton's senior vice president of development in Latin America. "When legally we're allowed to do so we all want to be at the start-line ready to go." The United States and Cuba restored diplomatic relations in July after decades of hostility. Washington chipped away further at the half-century-old trade embargo this month, allowing certain companies to establish subsidiaries or joint ventures in Cuba as well as open offices, stores and warehouses in Cuba. The United States wants to strike a deal that lets U.S. airlines schedule Cuba flights as soon as possible, a State Department official said last week, amid speculation that a U.S. ban on its tourists visiting Cuba could be eased. U.S. hoteliers are not currently allowed to invest in Cuba, and the Caribbean island officially remains off-limits for U.S. tourists unless they meet special criteria such as being Cuban-Americans or join special cultural or educational tours. Foreign companies have to partner with a Cuban entity to do business and U.S. hoteliers expect they will have to do likewise if and when U.S. restrictions are lifted. While they wait for the politicians to iron out their differences, U.S. hotel bosses are conducting fact-finding missions in Havana and holding getting-to-know-you meetings with government officials in Cuba and various European cities. This week, Middleton, along with executives from Carlson and Wyndham Worldwide Corp., which runs the Ramada chain, are meeting with Cuba's Deputy Tourism Minister Luis Miguel Diaz at an industry conference in the Peruvian capital, Lima. In the 1950s Cuba was an exotic playground for U.S. celebrities such as Frank Sinatra and Ava Gardener, as well as ordinary tourists, who travel led there en masse on cheap flights and ships from Miami. A recent relaxation of some of the restrictions on U.S. travelers has encouraged over 106,000 Americans to visit Cuba so far this year, more than the 91,254 who arrived in all of 2014, according to data compiled by tourism professor José Luís Perelló of the University of Havana. Overall, tourist arrivals are up nearly 18 percent this year after a record 3 million visitors in 2014, making Cuba the second-most popular holiday destination in the Caribbean behind the much-smaller Dominican Republic. U.S. hoteliers expect the number of U.S. visitors to balloon if all travel restrictions are axed. "If and when the travel ban is lifted. We estimate there will be over 1.5 million U.S. travelers on a yearly basis," said Laurent de Kousemaeker, chief development officer for the Caribbean & Latin American region for Marriott. De Kousemaeker accompanied other Marriott executives, including chief executive Arne Sorensen, to Havana in July to meet with representatives of management companies and government officials. Even if sanctions were lifted soon, Cuba traditionally has been slow to approve foreign investment projects, making it unlikely that U.S. hotels would be popping up immediately. Rivals from Canada and Europe have seized the opportunity, operating and investing in Cuban hotels and resorts, alongside Cuban government partners, for years. Spanish hotel operator Meliá Hotels International SA, is aiming to have 15,000 rooms in Cuba by 2018. It currently has 13,000 rooms via 27 joint ventures. London + Regional Properties Ltd, a U.K. hotel and real estate development firm, agreed a deal this summer for an 18-hole golf course, hotel and condominium project with state tourism enterprise, Palmares SA, which has a 51 percent stake in the project. But even with government plans to add 4,000 new hotel rooms every year for the next 15, the island is not ready for a significant surge in tourism. The island's tourism infrastructure went into decline in the decades following the 1959 revolution. Five-star hotel rooms, good restaurants and cheap Internet access are all in short supply. When and if they get a green light from both governments, executives said U.S. hotel chains will likely offer branding and management partnerships to Cuban government partners such as Palmares and Tourism Group Gaviota, the largest Cuban government tourism entity. The ultimate goal would be to secure long-term leases on resort developments, which is how Cuban authorities have generally operated with foreign hotels. But right now, U.S. hoteliers can't even refer to tourism when they meet Cuban counterparts, let alone talk about actual deals. Instead the buzz word is "hospitality." Marriott's de Kousemaeker likes to use an analogy from baseball, a sport loved both in Cuba and in the United States, to describe the situation. Fathom, Carnival Corp. new social-impact cruise brand, unveiled nearly two dozen excursions it plans to offer as part of its week-long sailings to Cuba when they start in May 2016. American citizens traveling on Fathom are limited in what they can do onshore in Cuba. Regulations from the U.S. Treasury Department spell out 12 types of activities that are considered to meet the standards of “purposeful travel,” and promote cultural engagement. Fathom passengers, for example, won’t be able to spend a day at the beach, but may partake in a Q&A session with a prominent Cuban author or meet with independent Cuban booksellers. While in Havana, Fathom guests will dine in paladares, private homes or restaurants that are not run by the state. Day 3 will be at sea and feature organized discussions on everything from Cuban food and history to the question of why so many Cuban doctors work in foreign countries. There will be an entertainment session focused on the music of the Buena Vista Social Club. Fathom will next visit Cienfuegos for a day. On the agenda: a visit to an elementary school, a choral performance and an interactive session with Cuban business professionals. There will be a side trip to Trinidad to explore colonial architecture with a restoration specialist. Fathom will also stop in Santiago de Cuba, the island’s Second City, where a half dozen activities await, including explorations of Spanish, French and Afro-Cuban heritage; talks with local professionals; meals at paladares; and an unspecified economic development project.